Cast off your preconceptions about barbecue catering, as it could be the perfect complement to your big day. While it might not be appropriate for all occasions, the humble barbecue should certainly be considered if you’re planning an informal, laid back affair. 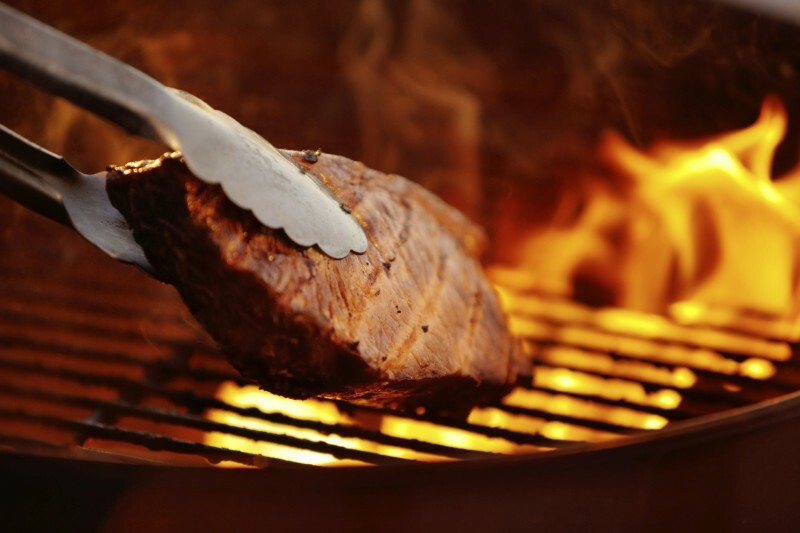 Here are some tasty tips on BBQ catering. Don’t know the first thing about al fresco grilling? Here are seven tips that ought to make barbecuing a simple post-ceremony comedown. 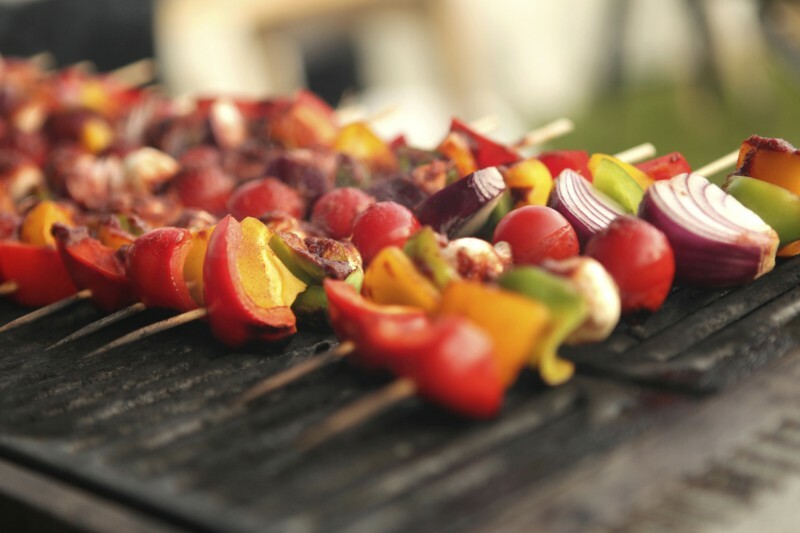 If you’re hiring a wedding caterer, find out what type of barbecue they will be using. Gas tends to cook the meat more evenly, but charcoal gives that authentic flavour and smell. If you want an extra smoky flavour to your food you can put wood chips in with the hot charcoal. The first rule of barbecue catering is to ensure you have enough meat, and then to get a whole lot more. Select a wide range including steaks, burgers, kebabs, sausages, and chicken drumsticks, or pull out the all stops and serve up a full hog roast. But don’t forget the veggies! You might have plenty of meat but don’t forget to cater for any non-meat eaters on your guest list. Make sure there are plenty of fresh salads and make up veggie kebabs with halloumi cheese or tuna steak for those that eat fish. When you are catering for vegetarians make sure that there is a separate grill or a totally separate barbecue and that different cooking utensils are used. Let the guests do the cooking! Provide an interactive catering experience by supplying a selection of marinades and letting guests pick and grill their own steaks. As well as being engaging, this means that invitees can have their steak as well done or as rare as they want. For this to work you will need to dedicate a very large grill area on the barbecue for guests to use. Make sure has enough space for your guests to escape from the barbecue smoke whatever direction the wind decides to blow. If you’ve booked an outdoor wedding venue they may already have a barbecuing area set up and should be able to advise you on the ideal setup for your reception. ‘Barbecue catering’ conjures up mental images of guests wandering around with a plate of chicken wings, but the food can be presented in a more formal way if you want. Even though you’re having barbecued fare at your wedding, it doesn’t mean you can’t have a sit down meal. Well-arranged platters of cooked meat can be placed in the centre of the tables for guests to help themselves, or the cooked food can be arranged buffet style. Beer is the usual accompaniment to barbecue meat but don’t forget that some wines also work well. Rich reds such an oaked Merlot, Shiraz or Zinfandel are all perfect with steak. For a summer event Pimms is a delicious choice, while the designated drivers will need soft refreshments to wash down their grub.